Author and motorcycle electrics specialist Jeff Zielinski "The Factory has produced some of their most advanced motorcycles to dat, and in doing so they have raised the bar for the aftermarket." 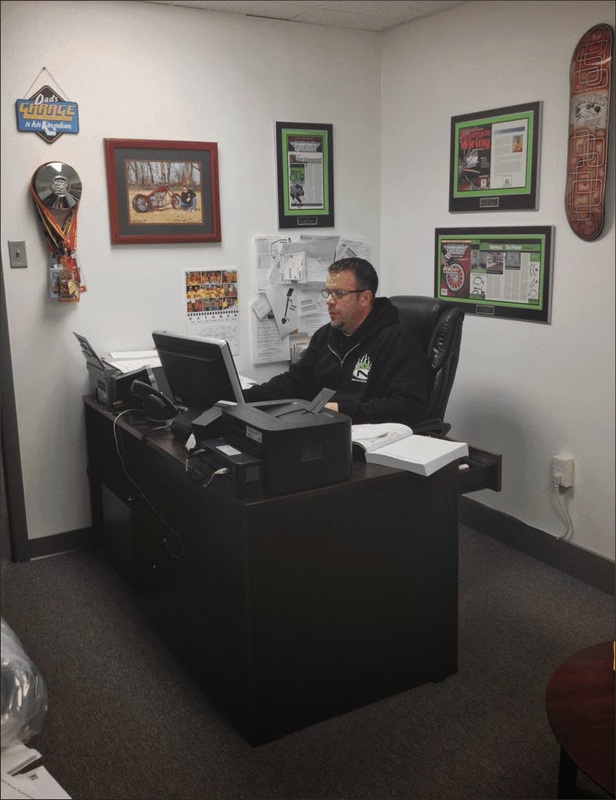 WELL known electrical products manufacturer and author Jeff Zielinski is one of the market's leading custom bike electronics specialists with a product line that is sold the world over by most leading importers and distributors. In addition to aftermarket products for Harley-Davidson models, NAMZ also provide products and support for most OEMs and their dealers all over the world, and pride themselves with staying on top of model changes so that they can continue to provide "op notch products and service" for their customers. Jeff recently pointed to the changes that Harley-Davidson has made to its model line-up for 2014 and the challenges that those changes represent for the aftermarket. "The Factory has produced some of their most advanced motorcycles to date, and in doing so they have raised the bar for the aftermarket - both in terms of product design and features, as well as quality and compatibility. "No aftermarket business can stand still at the best of times, but following what has happened to the motorcycle industry in the past five years, aftermarket vendors have to place the same priority on R&D, production and process, and new product design thinking that the motorcycle manufacturers themselves are doing. "At NAMZ, we have added a conveyor based, heat-shrink tunnel machine that will automate our heat shrinking process along with a computer based wire harness testing machine that will eliminate any possible wiring errors. "In order to install these machines, we have invested in more building space, taking us to over 10,000 square feet, and putting us in the position to be able to promise some big news in early 2014 that will continue to keep us and our dealers in the lead when it comes to motorcycle electrics." S&S Cycle's 124ci Hot Set Up kit has been developed by the company to allow users to retain the bike's stock crankcases, cylinder heads, oil pump, and cam cover from all '07-'13 Big Twin and 2006 Dyna models while taking the capacity out to 124ci. Options available on the kits include a 10.8:1 compression ratio with S&S 91cc high flow Super Stock heads, other choices are flat top pistons, or without heads, a 10.4:1 compression ratio intended for stock 85cc chamber cylinder heads with 10.9cc dished pistons. When replacement cylinder heads are included in a kit they are finished in wrinkle black powder coat to match the factory finish. S&S originally included chain drive cams in 124ci Hot Set Up kits, but due to continued customer requests for S&S gear drive cams, these are now included and are the Easy Start cams. Alongside the Hop Up kits, S&S Cycle also has upgraded crank cases available. Created for use on '07-'14 Touring model Big Twins, the cases, made from 356-T6 aircraft grade aluminum, feature thicker wall sections and are clearanced for strokes up to 4 13⁄16in and cams up to .720in lift. A Timken sprocket shaft bearing is included and the front motor mount is reinforced. The cases are available machined for stock bore, 4 1⁄8in bore, or 4 3⁄8in bore cylinders, and are supplied complete with a Manufacturer's Statement of Origin (MSO) and studs and cam bearings installed.